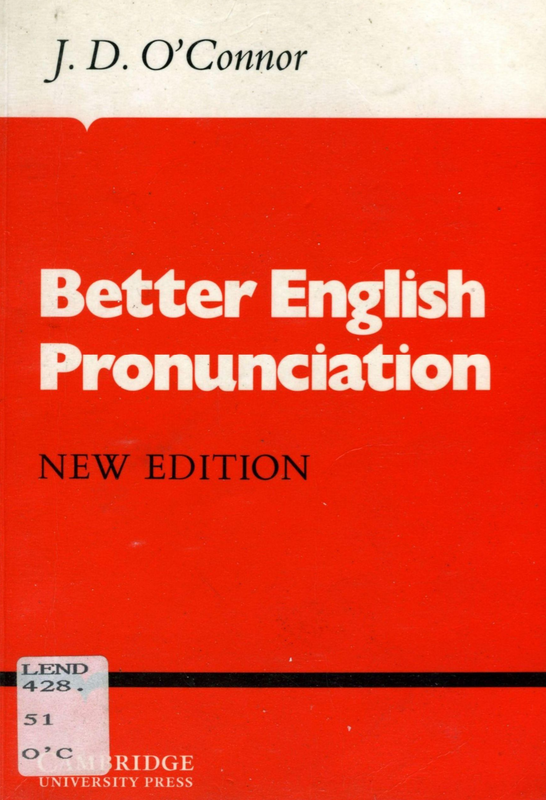 This is the new edition of a highly successful and widely used text on pronunciation. 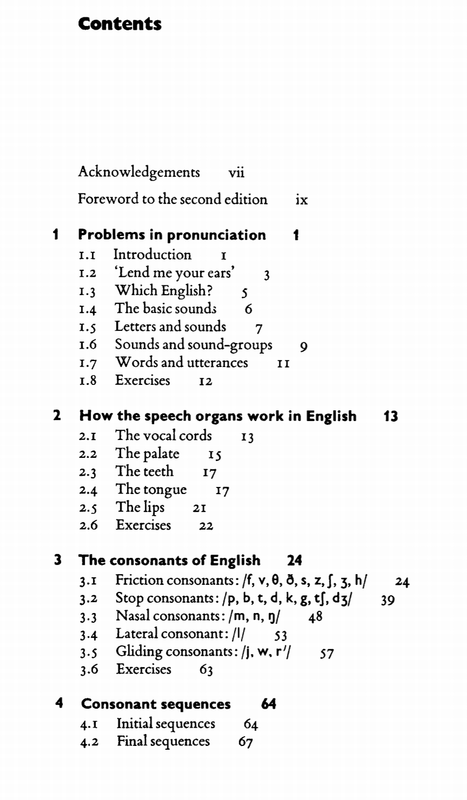 It provides a systematic and thorough introduction to the pronunciation of English to help intermediate and more advanced students improve their production of the spoken language. 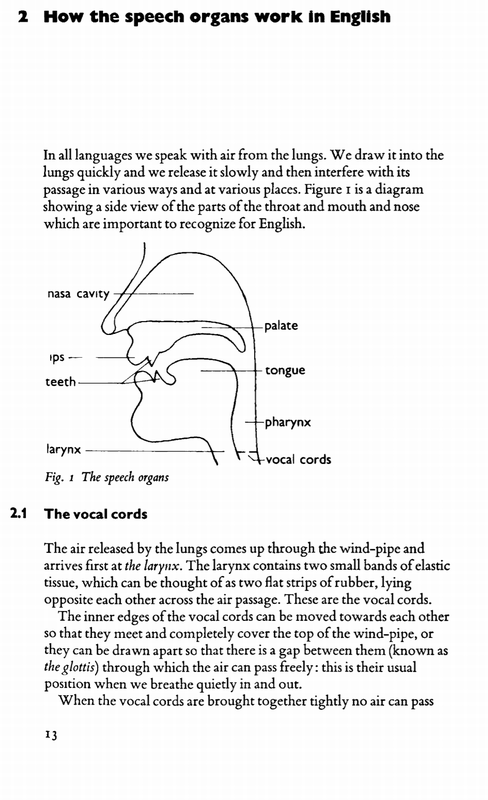 After a short introduction to pronunciation problems the author explains how the speech organs work; he then deals with each sound separately before dealing with words in combination, rhythm-patterns and intonation. Practice material is given at intervals throughout the book. The particular difficulties of the speakers of certain other languages are noted, and remedial exercises provided. 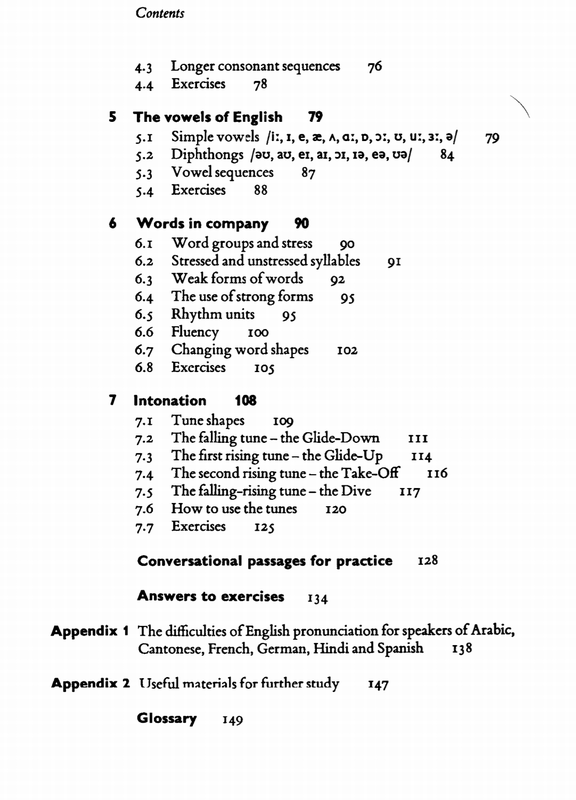 A recording of all the practice material in the book is available on cassettes.